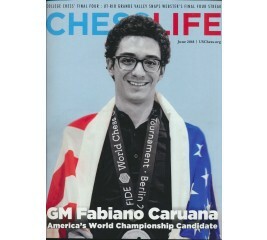 The February 2019 issue of Chess Life is here! 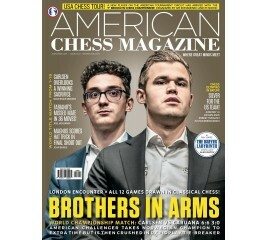 It's Cover Story is on the First American world championship contender in decades loses a heartbreaker to Carlsen by GM Ian Rogers. Other articles include "In Memoriam of Ruth Haring" and "World Youth and World Cadet". 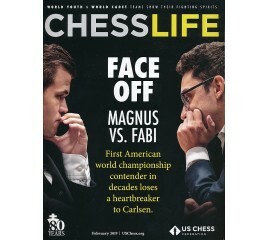 The January 2019 issue of Chess Life is here! 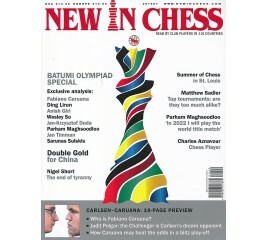 It's Cover Story is on the 43rd Chess Olympiad where China nabs historic double gold, the U.S. team takes silver on tiebreaks, and the women's team makes a splash by GM Maurice Ashley. 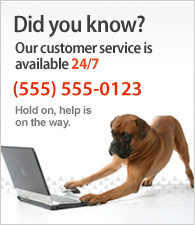 Other articles include "The Eternal Pin and how to use it" and "The Collins manuscripts at Indiana University". 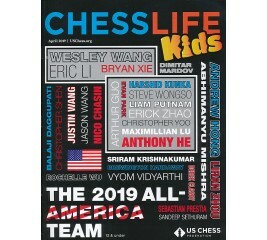 The December 2018 issue of Chess Life for Kids is here! It's Your Move, You can do it! 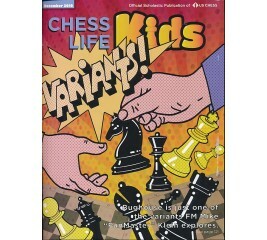 by ICCM Jon Edwards, Chess Kids, Avoid The Trap!, 960 bugs on my chessboard, Junior Grand Prix and more in the latest issue of Chess Life for Kids! 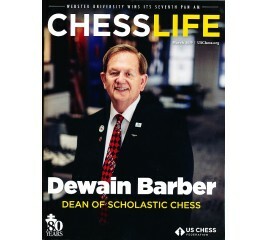 The December 2018 issue of Chess Life is here! 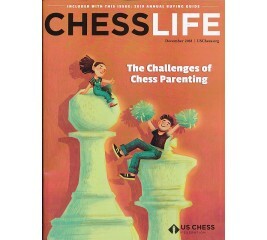 It's Cover Story is on the Challenge of Chess Parenting by Jennifer Vallens. 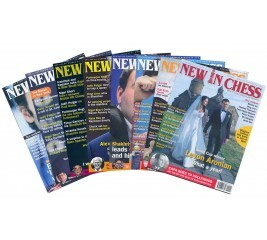 Other articles include "The Victorious Eight" and "World Junior Chess Championship for the Disabled". 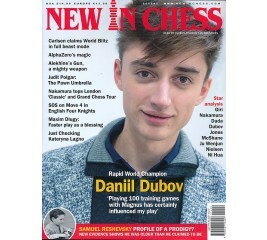 The November 2018 issue of Chess Life is here! 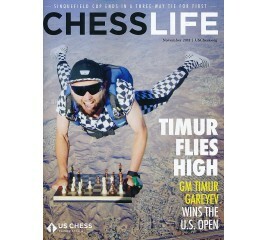 It's Cover Story is on Blindfold King Timur Gareyev plays ambitious, take-it-all chess to win the U.S. Open as told by Al Lawrence. 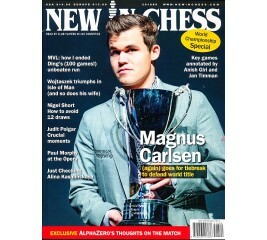 Other articles include "Caruana versus Carlsen" and "Novelties & negotiations at the 2018 Sinquefield Cup". 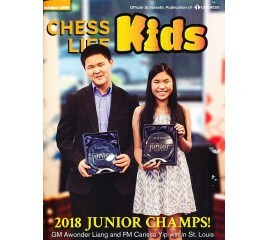 The October 2018 issue of Chess Life for Kids is here! It's Your Move, You can do it! 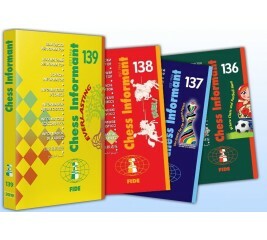 by ICCM Jon Edwards, Chess Kids, Avoid The Trap!, U.S. Junior & U.S. 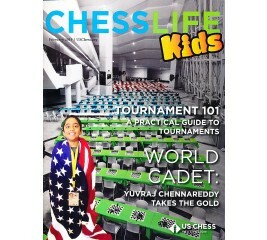 Junior Girls' Championships and more in the latest issue of Chess Life for Kids! 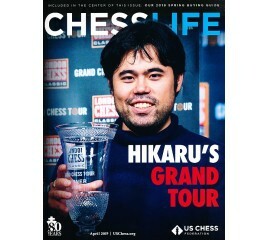 The October 2018 issue of Chess Life is here! 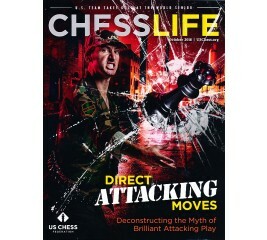 It's Cover Story is on Direct Attacking moves by deconstructing the Myth of Brilliant Attacking Play by IM Erik Kislik. 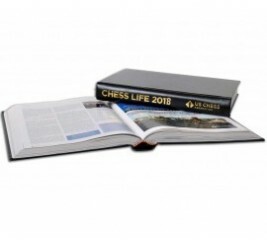 Other articles include "Luck and Skill at the World Open" and "The U.S. World Senior Team has a golden moment in Dresden"
The September 2018 issue of Chess Life is here! 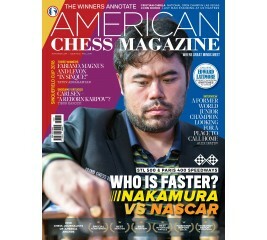 It's Cover Story is on GM Christian Chirila's determination wins the day and the Edmonson Cup at the 2018 National Open. 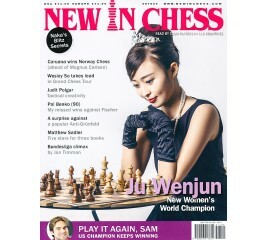 Other articles include "The 2018 NATO Chess Championship" and "Sensational Sana" and the US Women's Open. 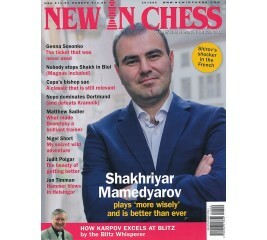 The July 2018 issue of Chess Life is here! 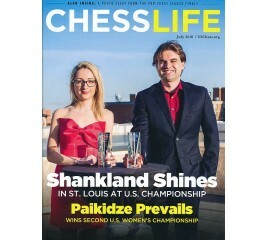 It's Cover Story is on the 2018 US Men's and Women's Chess Championship, which were won by Sam Shankland and Nazi Paikidze respectively. 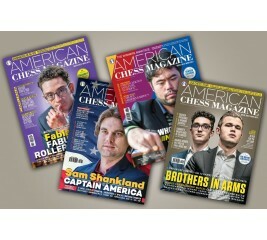 Other articles include "Honoring the Hip-Hop Legacy with Chess" and the PRO Chess League Finals. 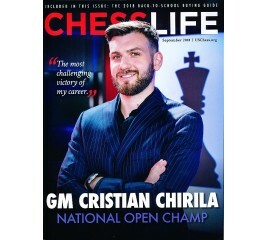 The June 2018 issue of Chess Life is here! 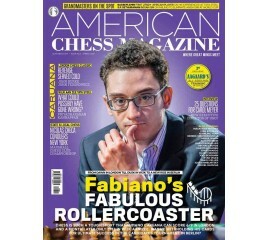 It's Cover Story is on Fabiano Caruana's win at the 2018 World Championship Candidates Match, where he was the first American to challenger for the World Championship since Bobby Fischer in 1972. Other articles include UT Rio Grand Valley's win at the Final Four College Championship. 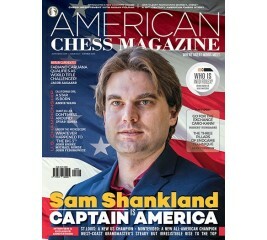 Shankland Wins U.S. Championship! Paikidze Wins U.S. Women's Championship! The June 2018 issue of Chess Life for Kids is here! 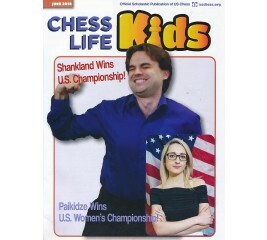 My First Move, Tournament Life, U.S. Championships, Shankland and Paikidze win the U.S. Men and Women's Championship, My First Move by FM Annie Wang and more in the latest issue of Chess Life for Kids! 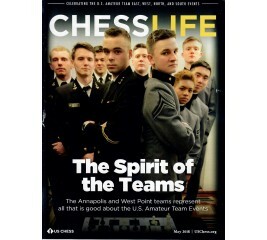 The May 2018 issue of Chess Life is here! It's Cover Story is on the 2018 U.S. Amateur Team Events. 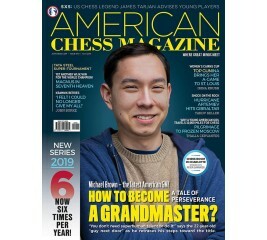 Other articles include the 2018 Chess Journalists of America Awards and a revolutionary chess program in rural Mississippi with a 75% poverty level. The April 2018 issue of Chess Life for Kids is here! 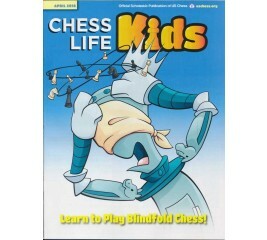 Avoid the Trap, It's Your Move, Chess Kids, Learn All About Blindfold Chess, My First Move by GM Timur Gareyev and more in the latest issue of Chess Life for Kids! 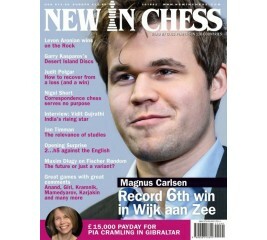 The April 2018 issue of Chess Life is here! 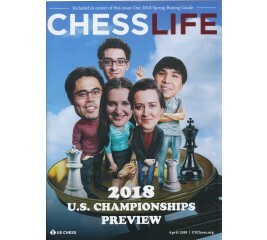 It's Cover Story is on the 2018 U. S. Championships Previews. Other articles include The 2017 K-12 Grade Championships and Innovations with Girl-focused Chess Camps. 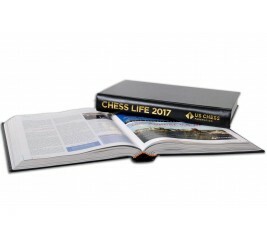 The Chess Life Annual is a beautiful, hardcover book that features all twelve issues of Chess Life magazine from the specified year. Each annual features a rich, black leather cover and has the USCF Logo and production year embossed in Gold on its spine. 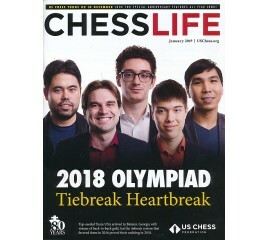 The March 2018 issue of Chess Life is here! 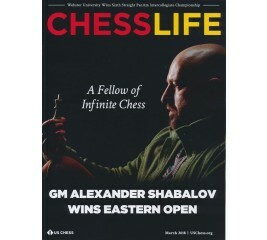 It's Cover Story is on Grandmaster Alexander Shabalov and his win at the Eastern Open. 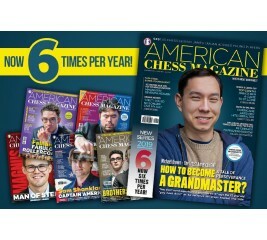 Other articles include Webster University winning it's sixth straight PanAm Intercollegiate Championship and Fischer's Legacy in Chess on the 10th Anniversary of his death.